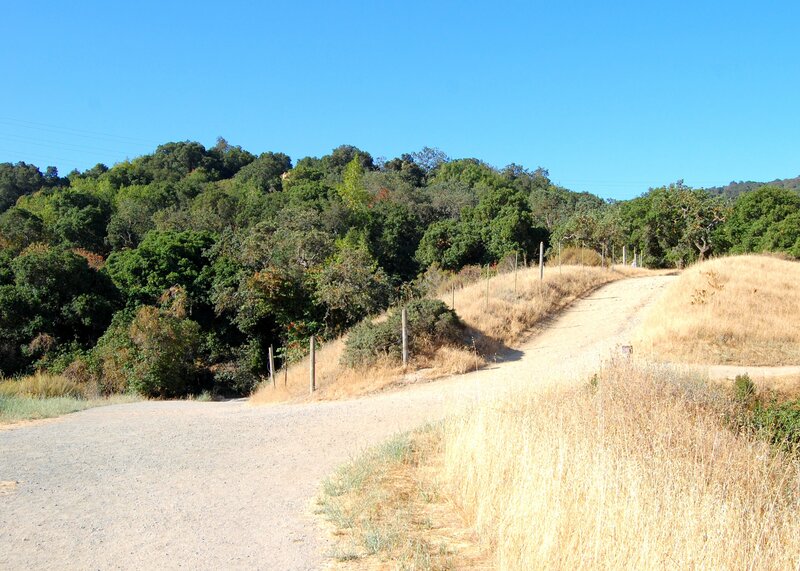 For Hike Number 19, I would return to one of my favorite places to hike in the Bay Area, the Rancho San Antonio Open Space Preserve / Rancho San Antonio County Park. 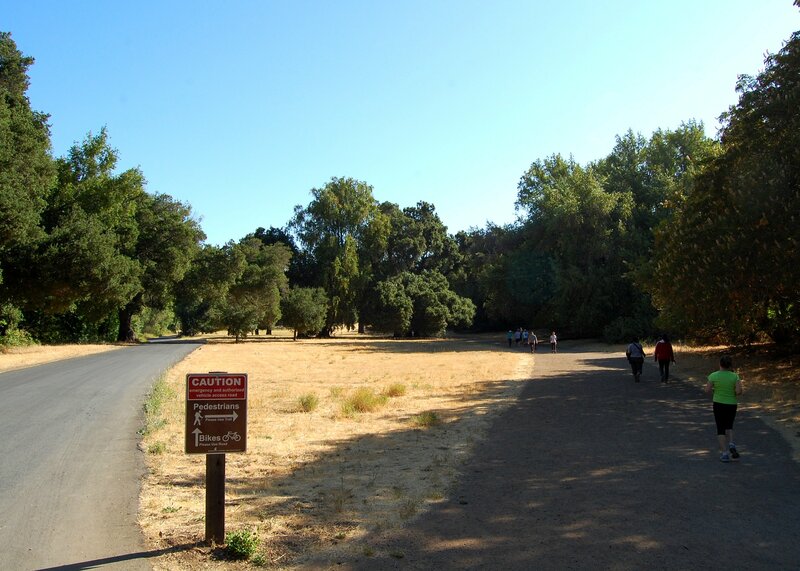 The OSP and County work together on these adjacent areas to provide miles of interconnected trails that cross mini ecosystems such as grasslands and coast live oak woodlands. 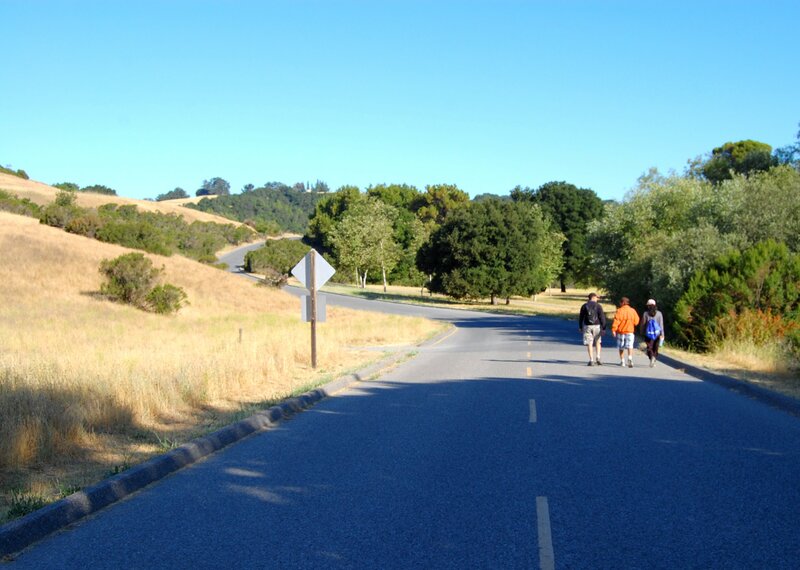 The Mid Peninsula Open Space District manages over 2,300 acres of park land here. As with all of the OSP’s, they do a very good job of keeping the trails maintained, providing up to date information signs, and bathroom facilities at the trailheads! 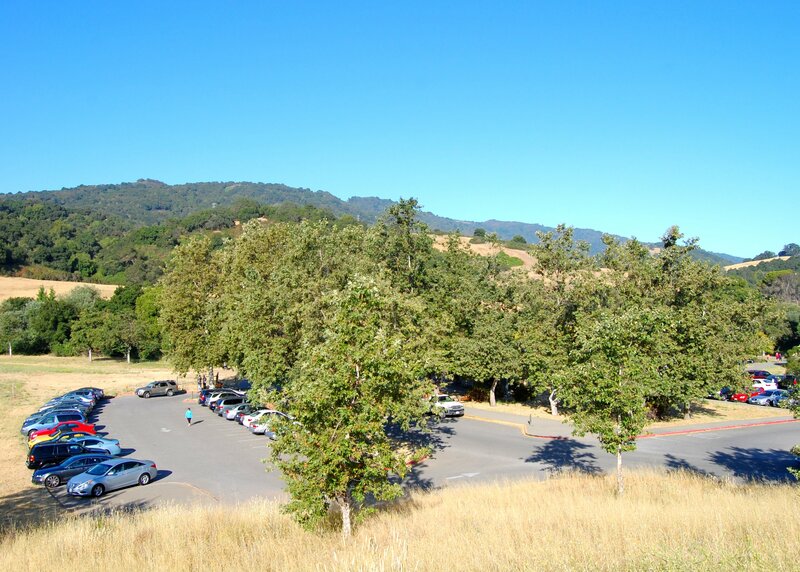 This OSP is very popular and located adjacent to the cities of Cupertino and Los Altos. If you want to hike here on the weekend, arrive early. I usually park in one of the upper parking lots…which is what I did on this day. 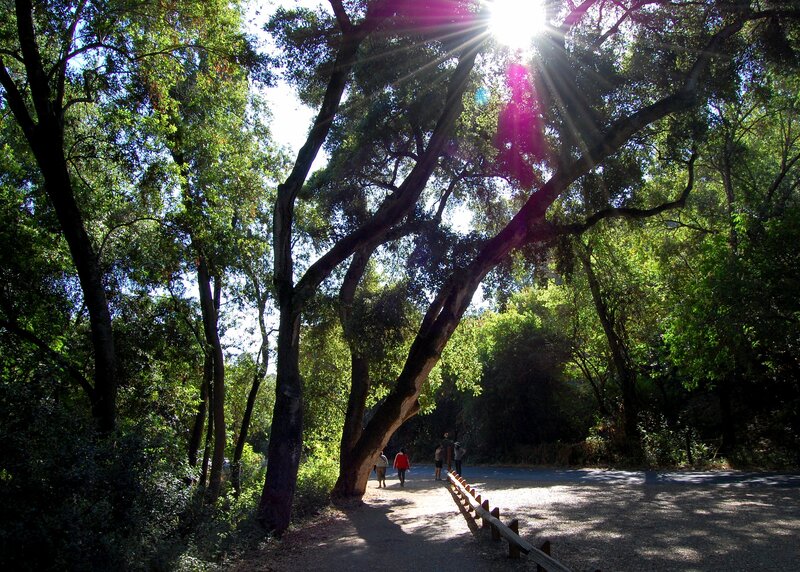 There is a very short (2/10 mile) segment of maintenance road that you must travel to get to the Hill Trail. Climb up about 300 feet for 1/2 mile through dry grasslands to get to our first trail junction. 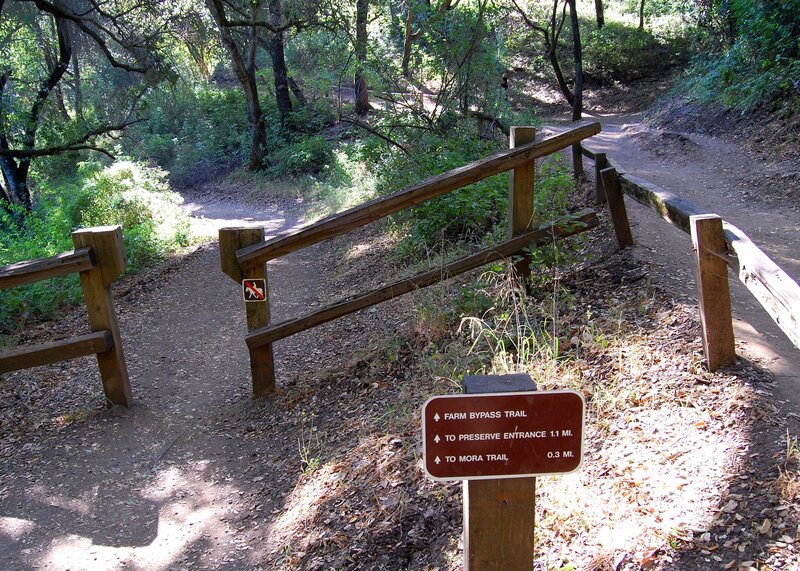 Take the Coyote Trail to the right! 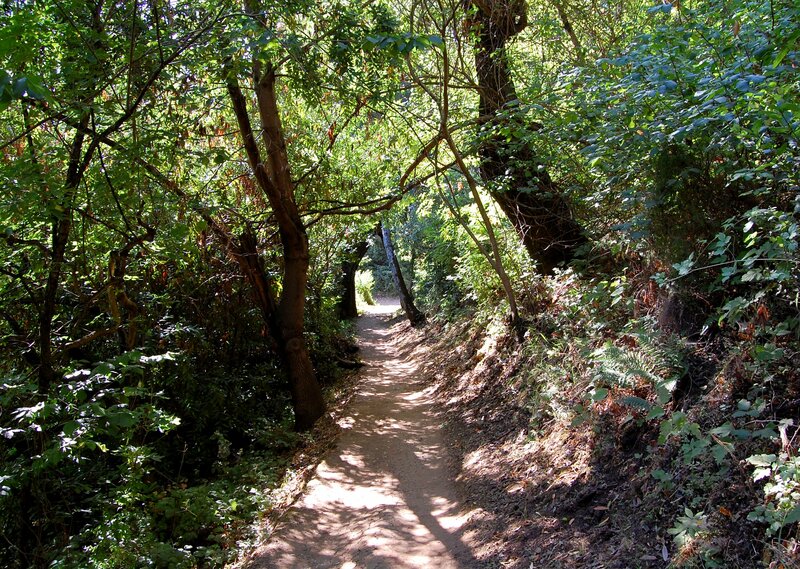 The Coyote Trail travels through shady live oak woodlands for about 1 mile. 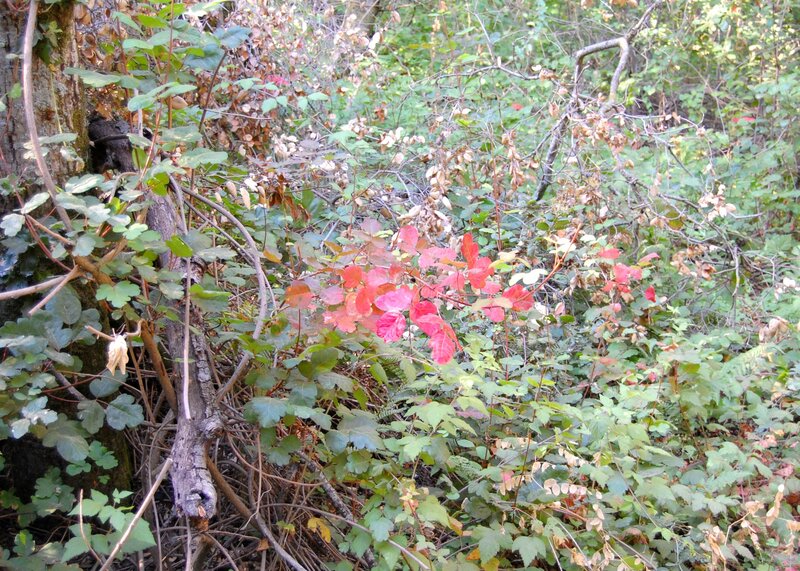 There is a lot of Poison Oak on the hillsides…so, stay on the trail…unless you have an “itch” to explore! 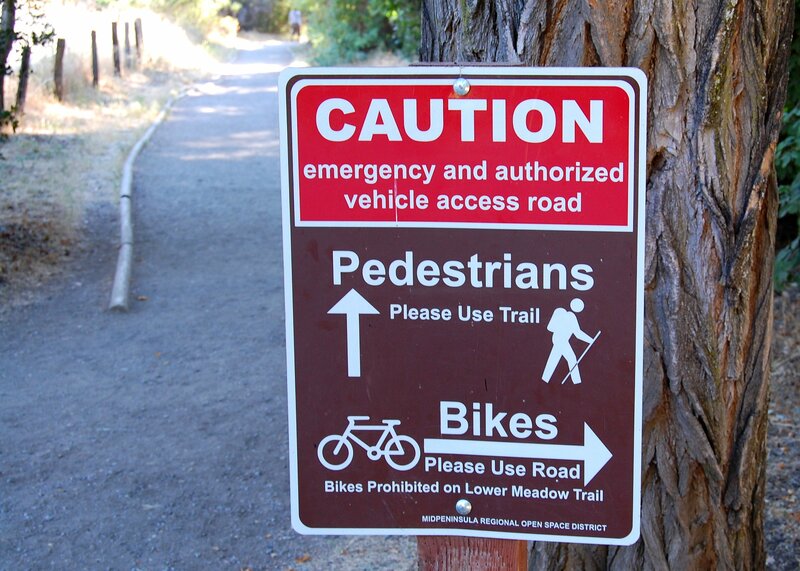 The Farm Bypass Trail / Coyote Trail Junction is a good example of the many interconnected trails here…well maintained and good signage! Farm Bypass Trail – 1/3 of mile of shady oak forest! 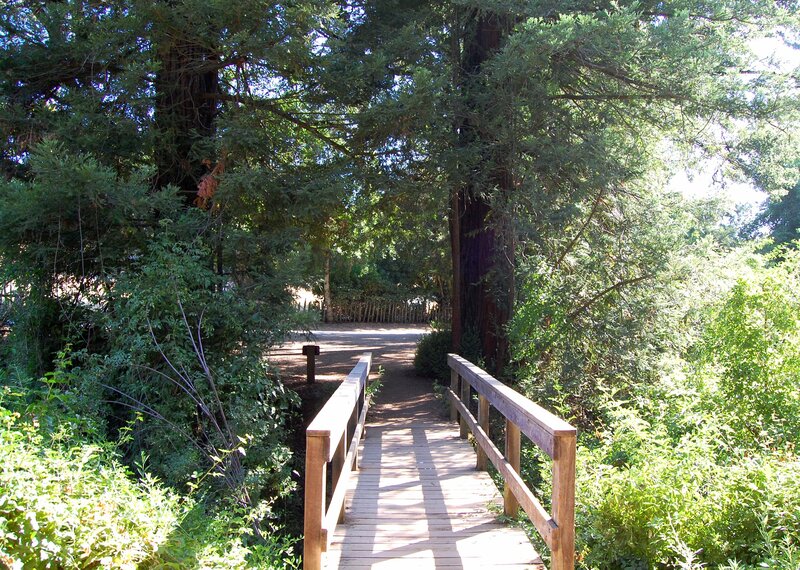 Cross this bridge, a maintenance road, and then stay to your left to join the Lower Meadow Trail. 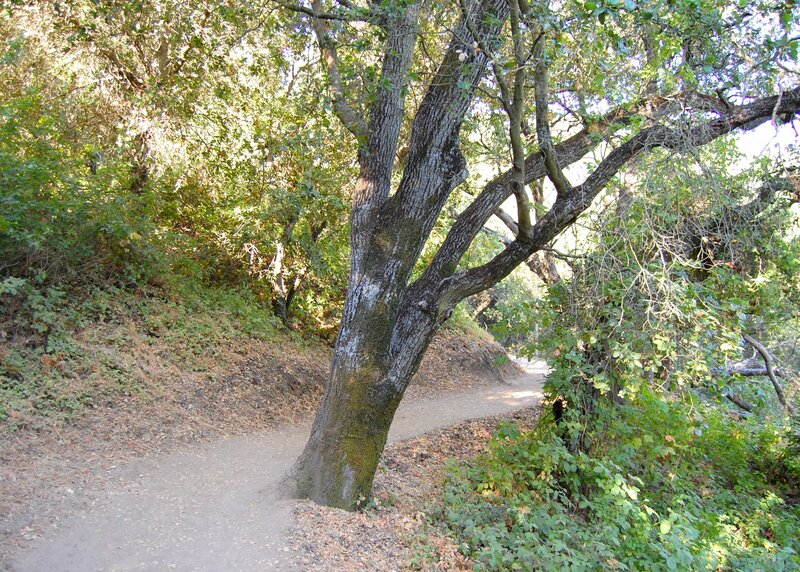 The Lower Meadow Trail ends and the Permanente Creek Trail begins. The creek will be on your left and a large grassy meadow will be on your right. 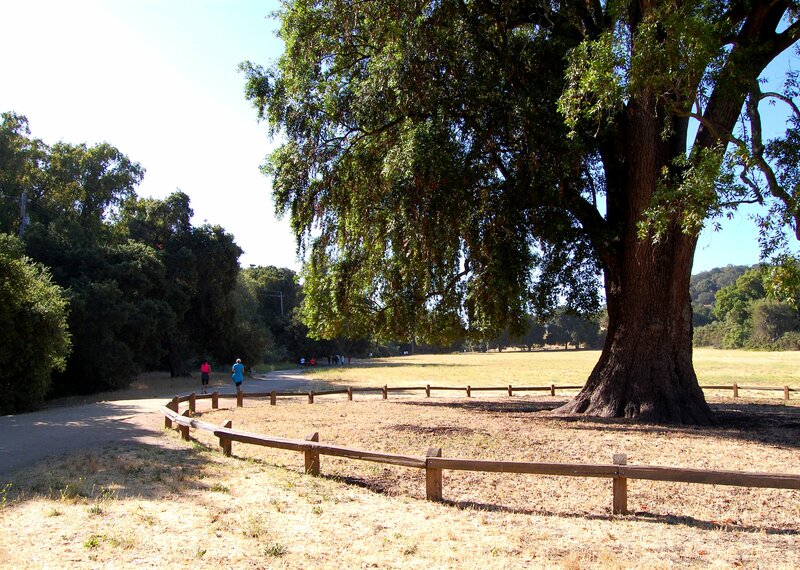 There is a large California Bay Tree along the Permanente Creek Trail that guards the entrance to a large grassy meadow. 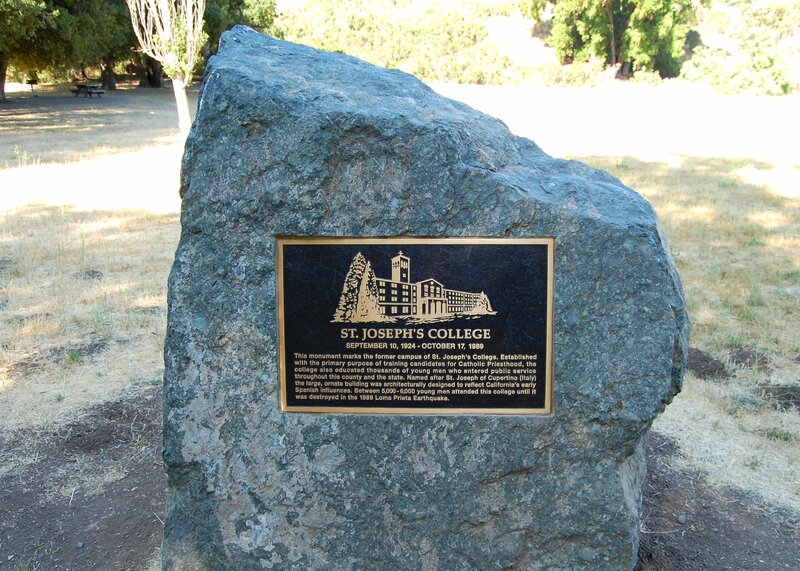 This meadow was once the location of St. Joseph’s College which was destroyed in the Loma Prieta earthquake back in 1989. 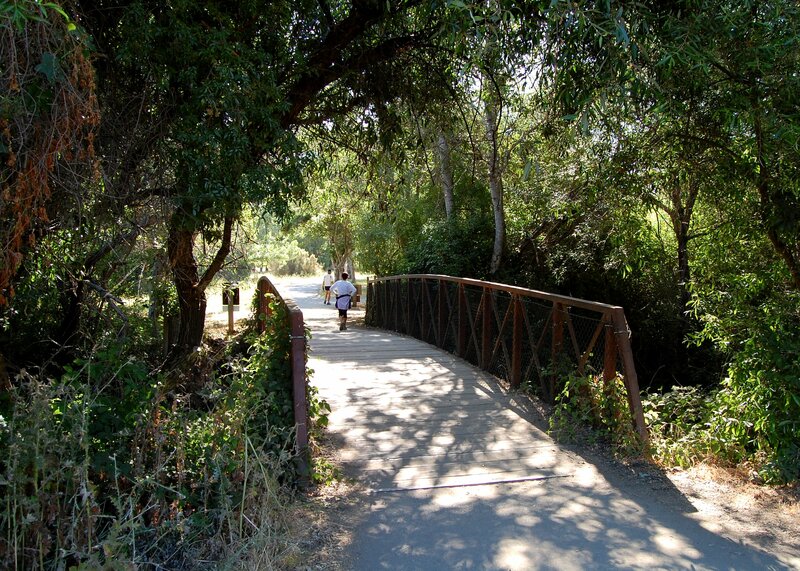 My 3 mile loop ended as I crossed this bridge over Permanente Creek and entered the large lower parking lot. Another great day hiking! I would rate this 3.0 mile hike as easy. 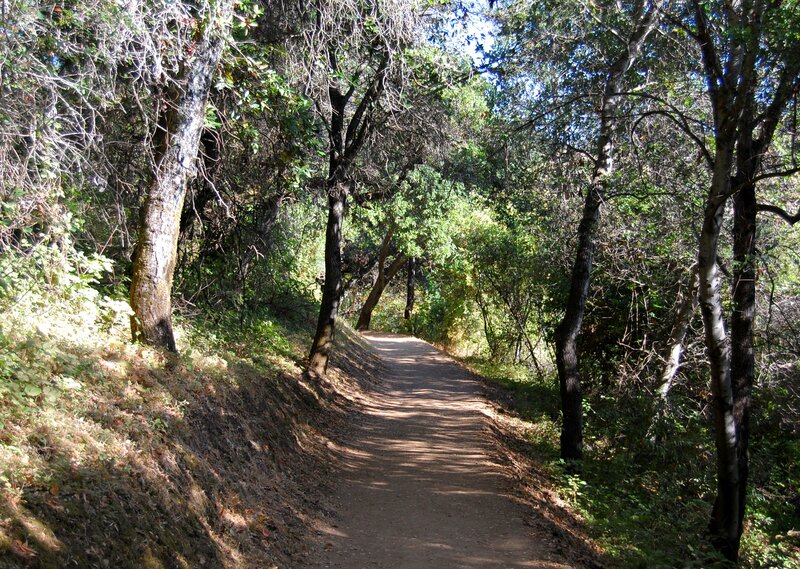 The trails themselves are moderately hilly at the start of your hike, a mix of both sun and shade, and well maintained. 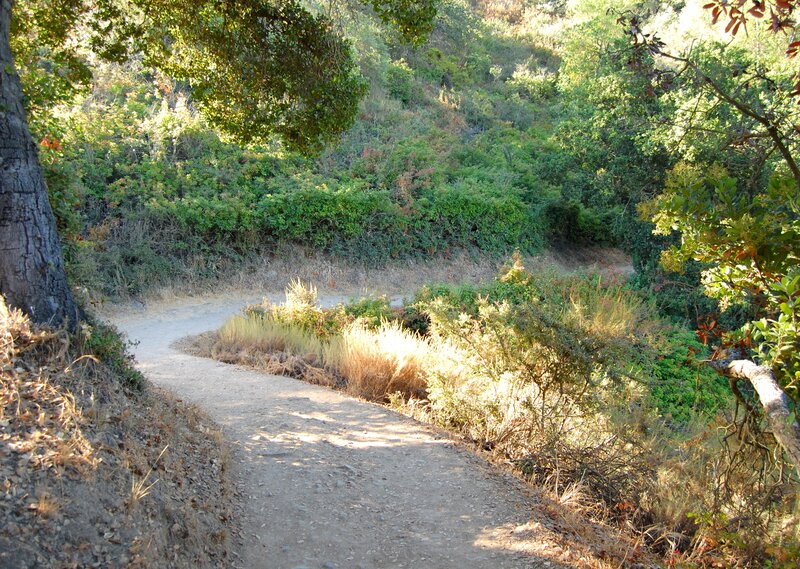 Trails: Hill / Coyote / Farm Bypass / Lower Meadow / Permanente Creek. 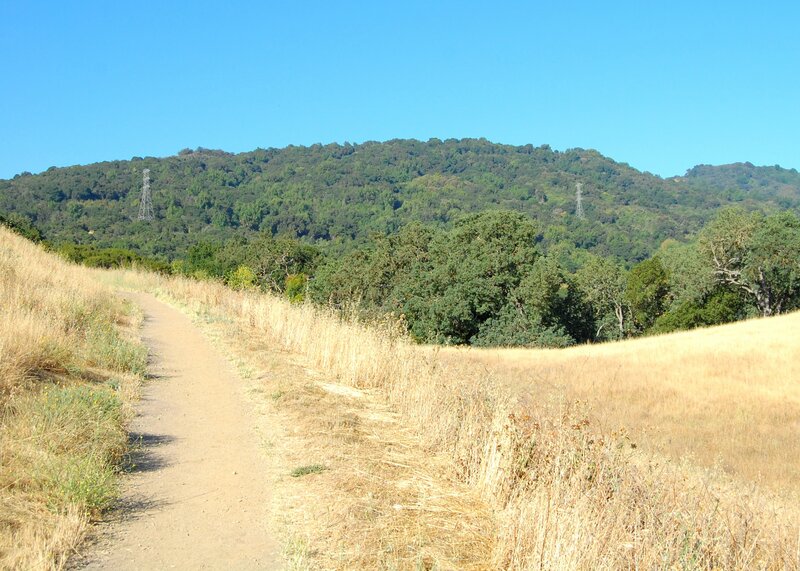 I always enjoy my hiking here at Rancho San Antonio OSP. There are enough varied trails to give you a varied experience. 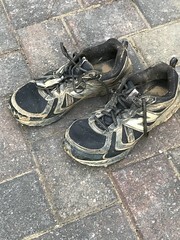 Well, that’s 19 hikes and 103 miles! 21 hikes and 97 miles to go. 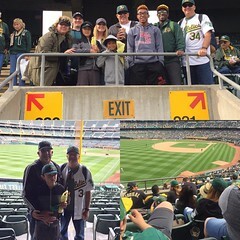 Until next time, if you are looking for me, I’m over the hill.